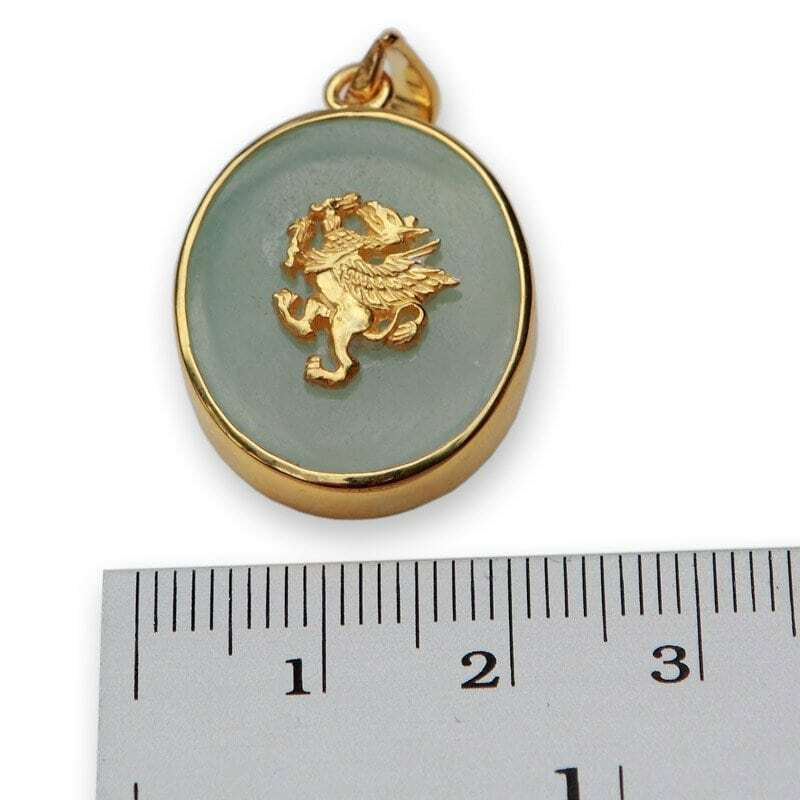 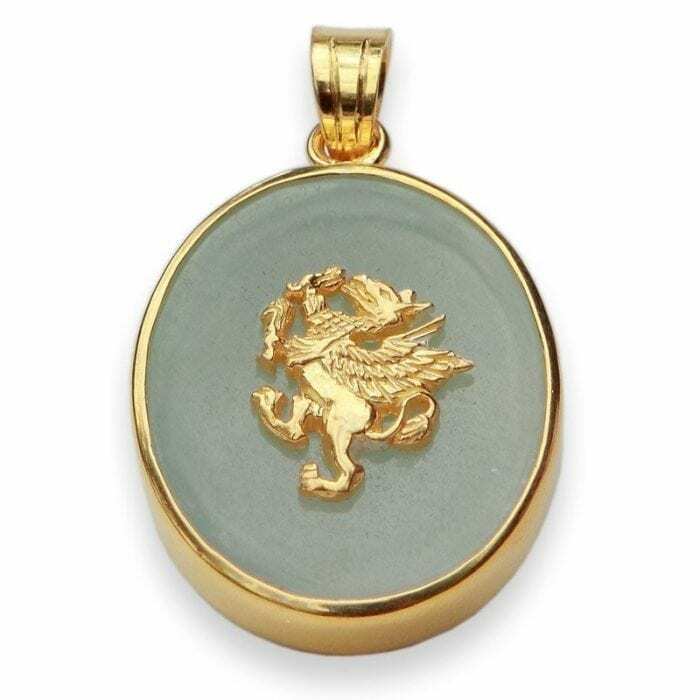 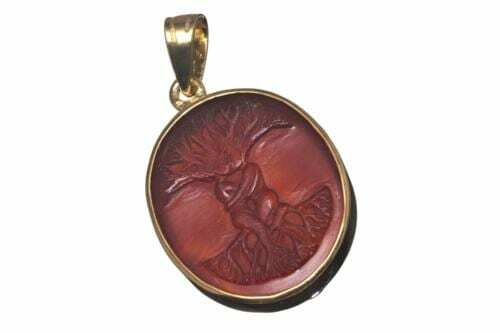 We laid a gold plated sterling silver griffin onto an oval of Aventurine held in a gold plated (5 microns 18k gold) sterling silver closed backed encasement. 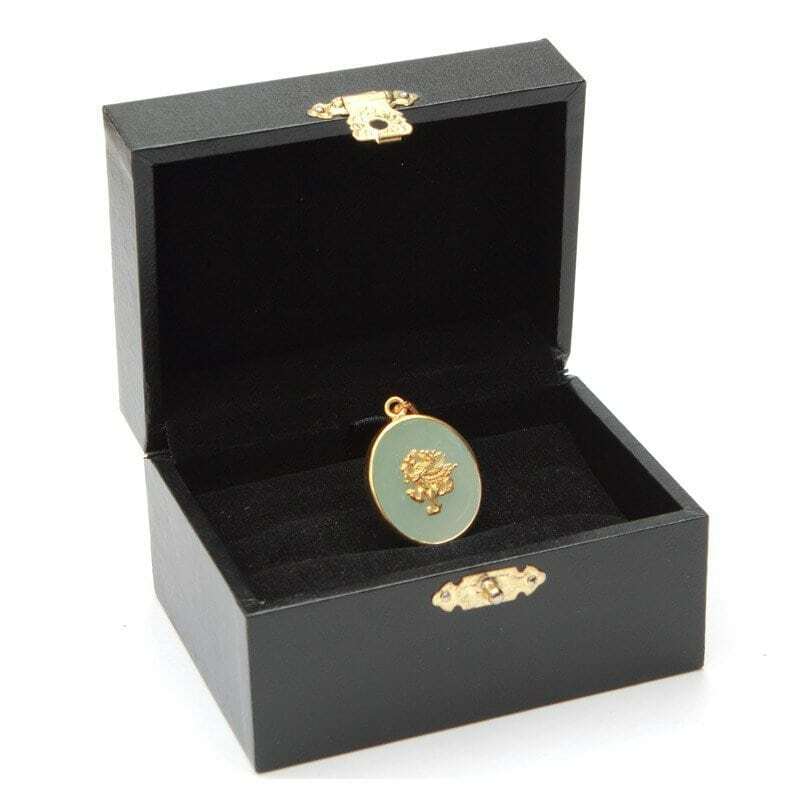 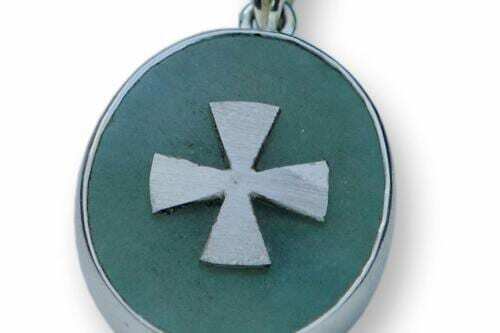 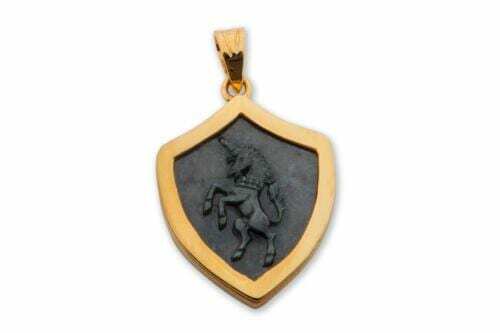 This interesting aventurine pendant with its heraldic design makes a great gift. 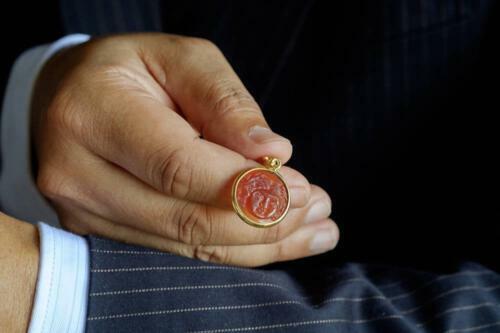 Ladies or Gents.. The oval measures 22 x 18 mm (7/8 x 11/16 inch). 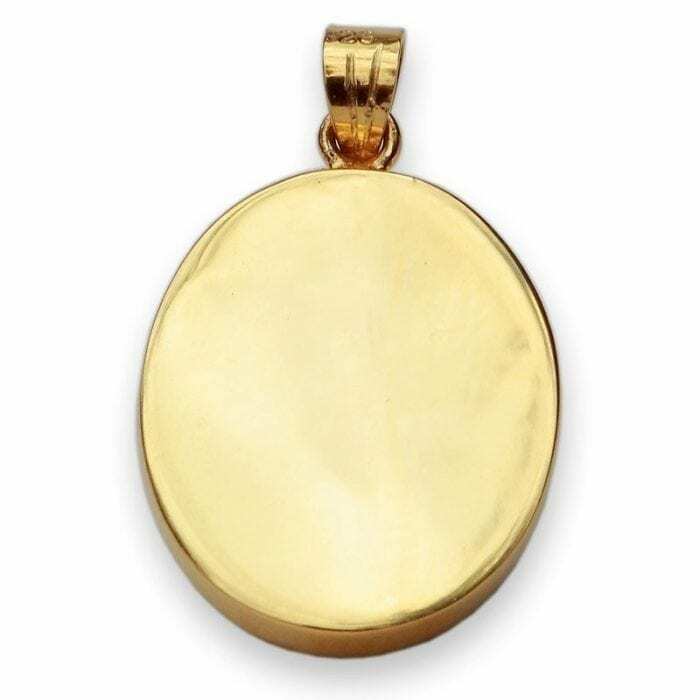 Closed back pendant.